Most people who know me know that I tend not to order pancakes out at restaurants because I am incredibly picky. I like them a little bit crispy on the outside, especially around the edges, and tender on the inside with a nice crumb. 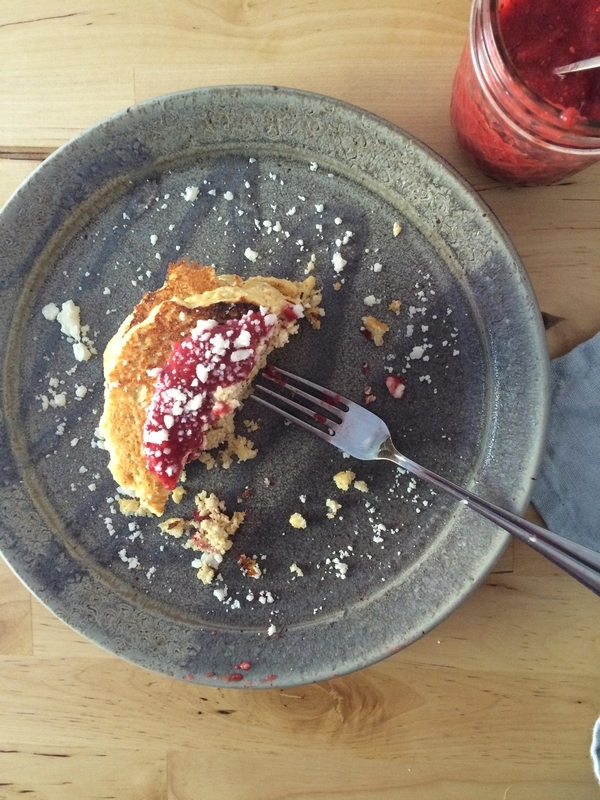 I do not care much for completely fluffy, cakey pancakes or super sweet ones. My favorite pancakes throughout most of college were the ones at the local diner in my college town of Hanover, New Hampshire. Lou's had the best blueberry buttermilk pancakes. They were enormous. Plate-sized, in fact. I could usually manage a short stack or a single pancake with some sort of egg dish or simple scrambled eggs. Now I am talking about buttermilk pancakes, which are a bit of a different animal than these ricotta cakes I have here. 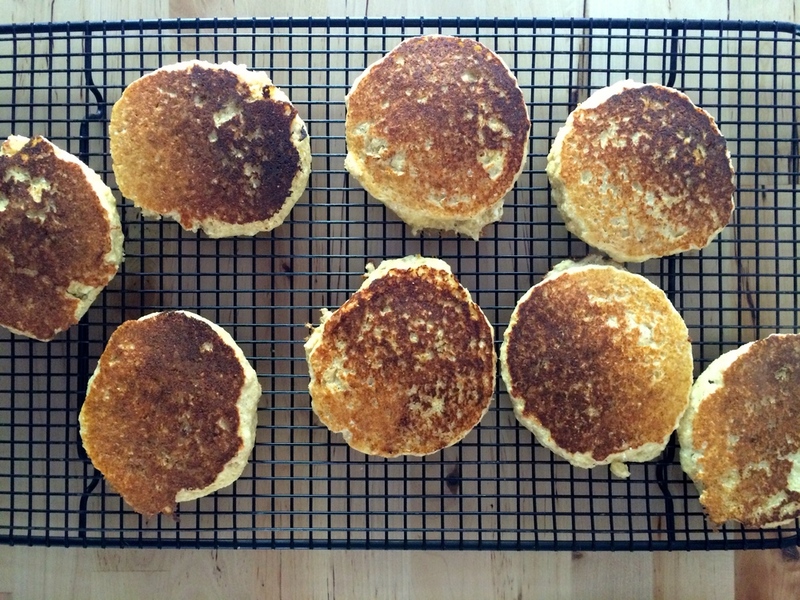 Ricotta pancakes, if you have never had them, are a something special. Ricotta keeps them moist and tender, but they get a lift from beaten egg whites. I associate them with spring when the weather is warmer and when berry season is just around the corner because berries pair beautifully with ricotta. 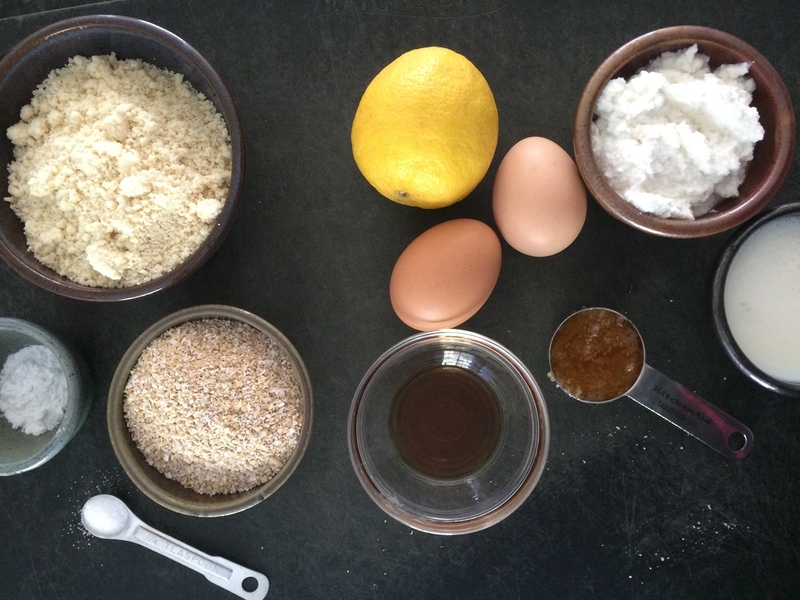 In this version, I use the zest and juice of a lemon because I love the brightness it gives. I also use two different "flours." Almond meal provides a toothsome quality and the mild almond flavor works well with the ricotta and lemon. It also supplies some good protein. Oat bran provides extra fiber, iron, and a little protein too. The key to keeping these light, despite these heavier flours, is to beat the egg whites separately and fold them into the batter. I topped mine with my strawberry vanilla chia jam and coconut butter, but experiment with what you like- honey, almond butter, yogurt, or go big with whipped cream. I recommend about four pancakes per person if this is the only thing served for breakfast or brunch, but fewer per person if other dishes are available. 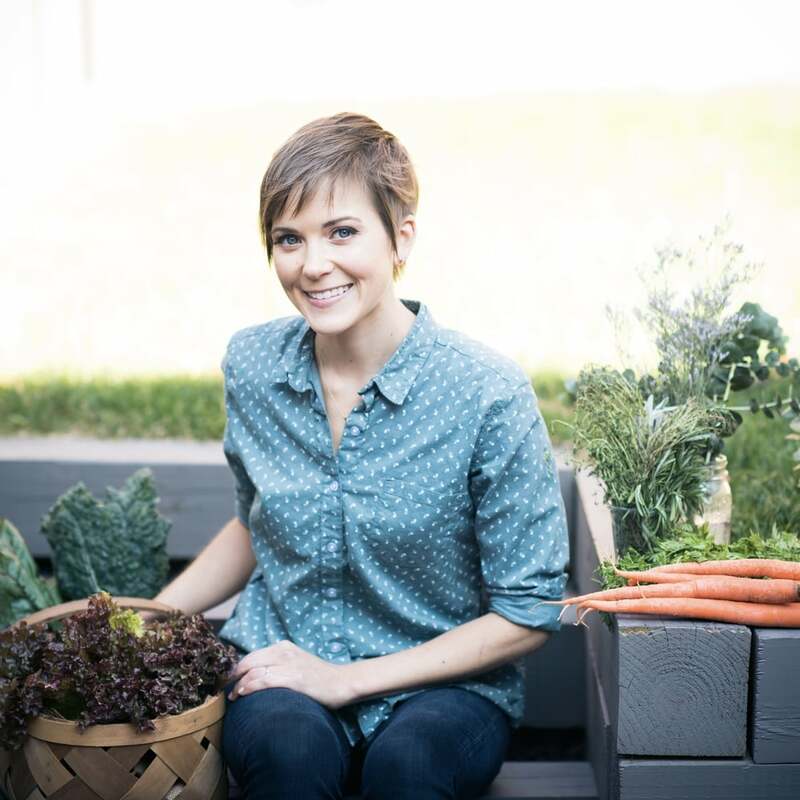 They are best served immediately, but can be kept in a warm oven (200 degrees Fahrenheit) for up to 20 minutes without drying out or stored in the refrigerator for a few days, understanding they will lose some of their lightness. I have frozen other pancakes for up to a month, but the ricotta cheese in these does not freeze as well so I do not recommend it. I hope you enjoy! 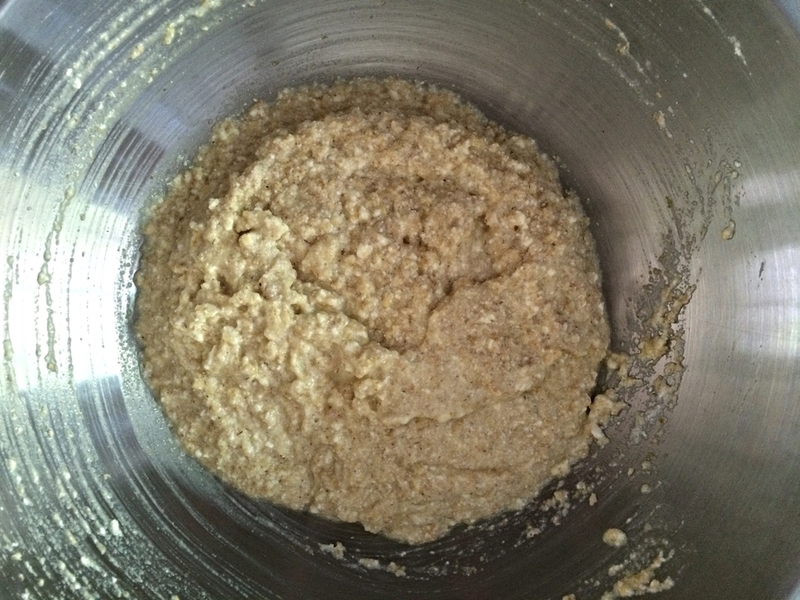 In a small bowl, mix the dry ingredients (almond meal, oat bran, baking powder, salt), breaking up any lumps from the almond meal. Set bowl aside. 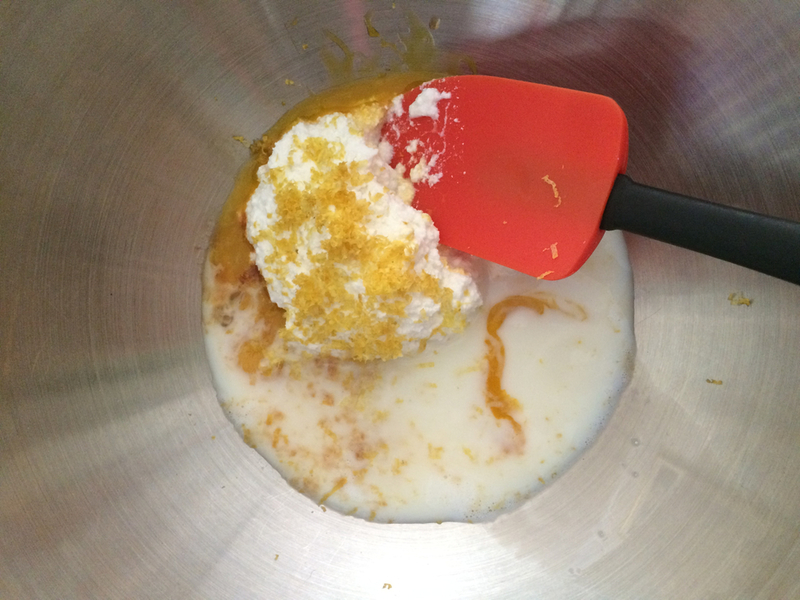 In a larger bowl, whisk the egg yolks, vanilla extract, ricotta cheese, milk, lemon zest and juice, and honey together until combined. 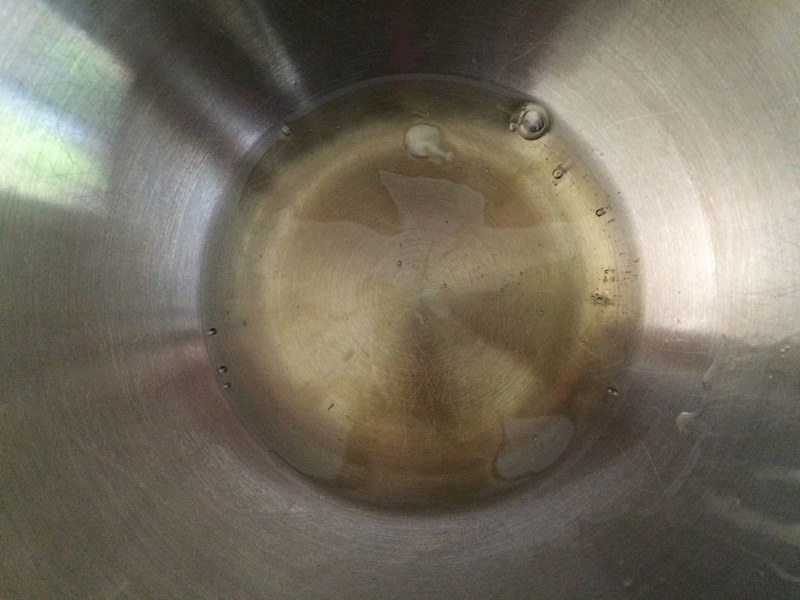 Beat the egg whites in a bowl for 3-5 minutes on high until soft peaks form. Fold the egg whites into the wet ingredients. 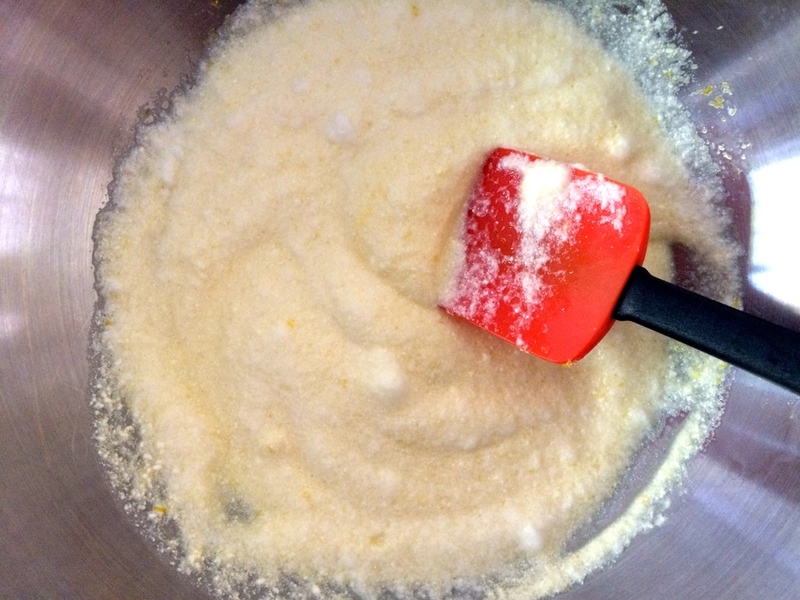 Once combined, fold the dry ingredients into the mixture, careful not to deflate the egg whites too much. Heat a griddle or cast iron pan over medium heat. Add 1 teaspoon of coconut or vegetable oil to pan, swirling to coat. 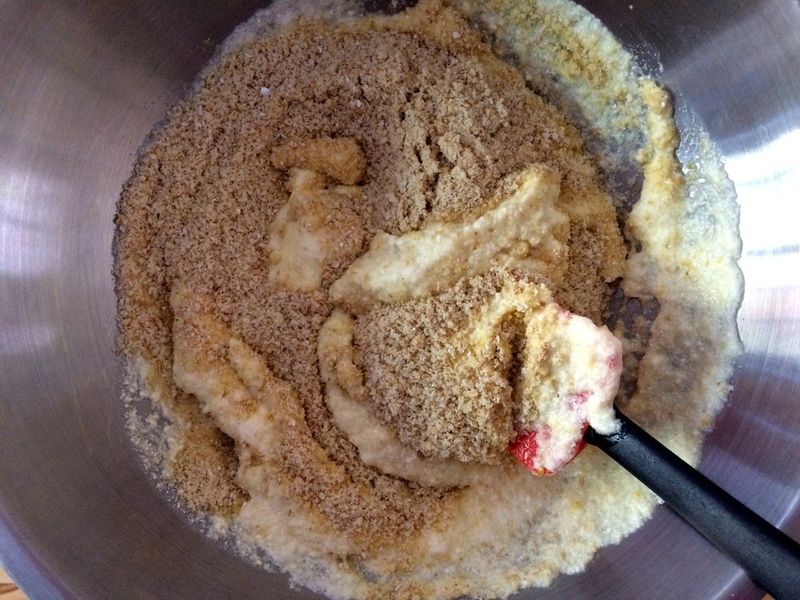 Use a 1/4 cup measuring cup and spoon the batter onto pan. Cook for 3-4 minutes per side or until golden brown. 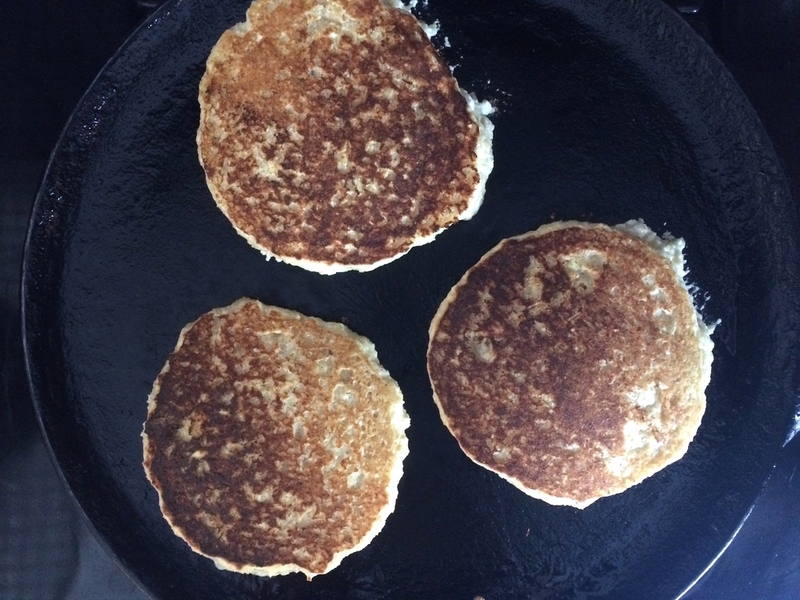 These take a bit longer than regular pancakes and will not produce the same bubbles on the surface when ready, so just use a spatula to lift the pancake and check for doneness. Move pancakes to a wire rack and continue with the next batch, adding about 1 teaspoon of oil to the pan per 3 pancakes. Pancakes can be kept warm in a 200 degree Fahrenheit oven for about 30 minutes before running the risk of drying out. Top with your desired toppings and serve. Makes 8 pancakes, enough for 2-3 people.